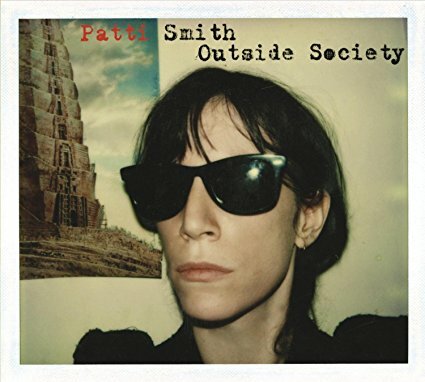 Patti Smith was a punk music pioneer in the 70s. Because The Night was her only hit single in 1978 and her signature song. She is mainly a poet who used music to make her poetry accessible. She was born Dec. 30, 1946 in Chicago and she grew up in Woodbury, NJ. She moved to New York in 1967 and that's where she met famed photographer Robert Mapplethorpe. She has acknowledged him as her biggest influence. In the early 70s she was performing in plays. She was even considered for lead singer of Blue Oyster Cult. She wrote lyrics for them. Then she formed a band with Lenny Kaye on guitar and bass, Ivan Kral on guitar and bass, Richard Sohl on piano and Jay Dee Daugherty on drums. And that was Patti's band for her first four albums. They released a couple of singles and they got a deal with Arista Records. John Cale produced her 1975 album Horses. It was critically acclaimed. But her second album Radio Ethiopia was panned. Then Patti broke her back after falling off a stage. While recovering, she decided to record a more commercial album with Jimmy Iovine. Because The Night reached #13 on the Billboard Hot 100. It would be Patti's only big hit. Bruce Springsteen wrote Because The Night but he didn't like it so he wasn't planning to record it. Iovine gave Patti a demo of the song. He was producing both of them and they were recording in adjacent studios. She rewrote it and the rest is history. After the 1979 album Waves, Patti married Fred "Sonic" Smith of MC5. They moved to Detroit to start a family. She released an album in 1988. But she was semi-retired until Smith's 1994 death. Then she moved back to New York and released a couple of albums and toured. She moved to Columbia Records in 2004 and her latest CD was released in 2012. And she continues to write poetry and she won a National Book Award for her memoir Just Kids. This budget comp covers her entire career. Today Patti Smith is hailed as a pioneer of punk music. I think plenty of women in music were influenced by her. Here's Patti Smith performing Because The Night on The Old Grey Whistle Test 1978.